Golfers struck lucky choosing one of the hottest days of the summer for a charity event to raise money for Saint Michael’s Hospice in Harrogate. 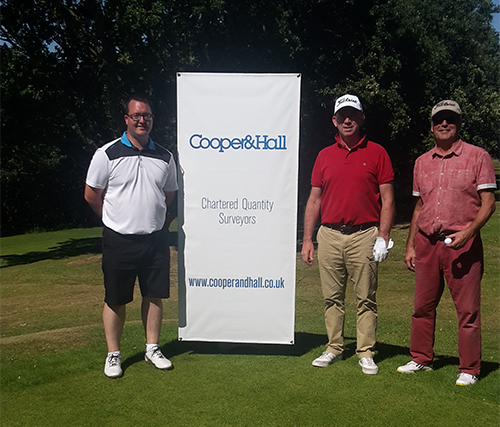 Cooper & Hall Director Graham Hall and Regional Manager Steve McMillan hosted guests Patrick Downes of GMI Construction and Keyclad’s Jon Lazell during a round at Pannal Golf Club. “The weather was superb,” said Graham. “The golf was sometimes sublime – and sometimes not! C&H sponsored two of the holes.